Battlefield is returning to where it all started. The original Battlefield 1942 was set in WWII. Now, 16 years later, Battlefield V is again heading back to the second world war. While BFV had an alpha earlier this year on PC, this latest open beta is going to be the first time most fans will be able to finally get their hands on it. 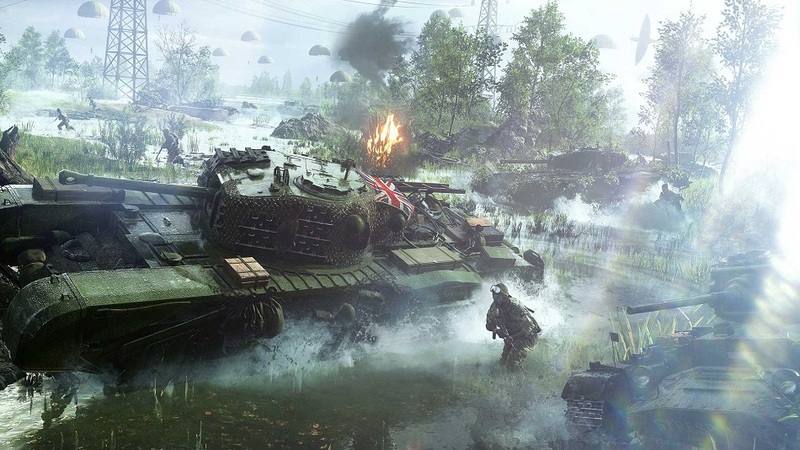 The open beta, as of this writing, only includes two modes: Conquest (the classic Battlefield mode all about capturing and defending points on the map) and a new mode titled Grand Operations — it’s a multi-stage large-scale battle with changing rules. The beta also only contains two maps. 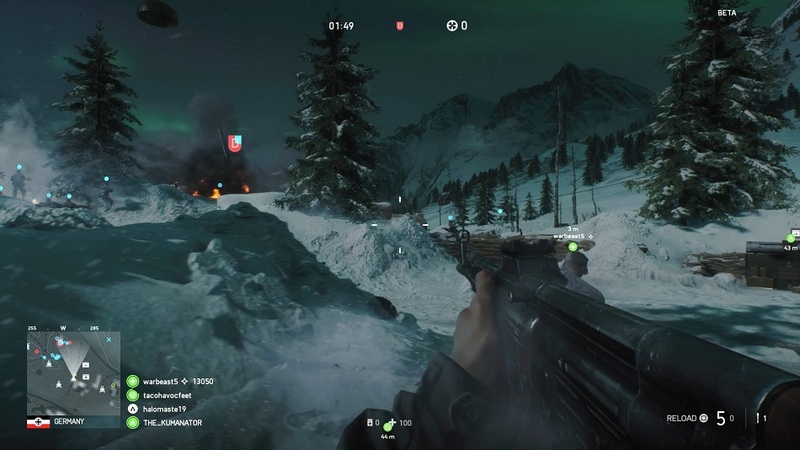 Narvik is an open, spacious map filled with snowy hills and icy waters. Rotterdam is a large urban map containing buildings, alleyways and canals. Between the two, Rotterdam is my favorite since the urban environment reminded me of maps I liked from previous Battlefield titles. However, both were fantastic once I got a feel for how they were laid out. Within a few matches I was taking part in classic BF chaos like driving a tank through a building or hiding behind a rock from a group of enemy snipers. These maps are also filled with places to build fortifications, a new feature added in BFV, and one of the biggest changes to the formula. Players can now build walls and other structures in preset locations. These fortifications can help block a road from enemy vehicles or reinforce a building after walls have been destroyed. Building fortifications is simple and players don’t have to worry about collecting resources to build. The only restriction is where walls and trenches can be built, and these things are dependent on the player’s class. For example, in the beta the support class can build faster than other classes and can create large metal blockades or even powerful mounted weapons, both of which can stop enemy vehicles. Meanwhile, other classes like assault and medic are limited to building sandbag walls, small turrets and trenches. Oddly, for a feature that’s so new and shakes up gameplay so much, the beta does an awful job of actually telling players how to access it. It took me a few matches to figure out how to build, and friends I played with had no idea they even could, assuming that the feature was locked out of the beta. The actual building process is simple — walk up to a marked spot and hold a button. So why hide it? Hopefully the full game will fix this issue. 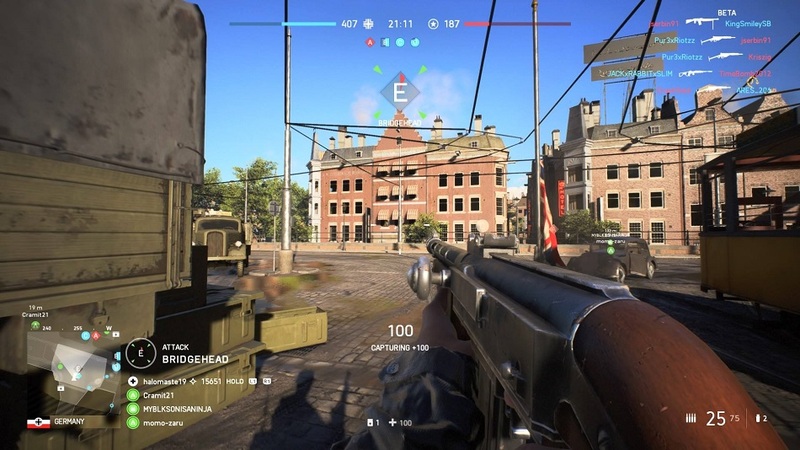 While fortifications are easily the biggest and most obvious change in BFV, there are a host of other, smaller things that will shake up the way people play. One such change is that players no longer regenerate health over time, which drastically alters how players have to think about combat. Also, it makes medics more valuable. At one point I was defending a location and took a sniper hit from an enemy, losing nearly all my health. Ahead of me I saw enemies coming, and I left the area to find a medical supply crate before going back into the fight. The lack of regen will make people to be a little more thoughtful about every combat encounter. However, I also fear that it might have the knock-on effect of making some players more prone to camping. In the matches I played, I felt like I was running into more players hiding than I have in the past, which made the pace of some matches slow to a crawl. I hesitate to say this is a major problem, however, as the beta only had a small amount of items and upgrades available. The full release might offer ways to counter camping or help players survive. It’s not just health that’s limited, though — ammo is scarce in BFV, and while on foot and in vehicles, players will have to worry about how much they have. Fortunately, players can throw ammo to others and squadmates and can find ammo on dead bodies. Overall, this lack of ammo and health made me more dependent on teammates and on scrounging the battlefield. The longer I stayed alive in BFV, the more desperate and dangerous the situation became. It added a lot of tension to the matches, but for more casual players or those who don’t have friends to squad up with, it might be frustrating. Also, one major issue I have with BFV is the decision to limit squads to four players. This feels like a downgrade after BF1 supported five-player squads. Now, looking at the new mode, Grand Operations. This mode seemed like it was the feature that EA and DICE were most excited about. So what is it? It basically builds on the popular Operations mode from BF1. The basic concept is that Grand Operations will span across multiple rounds and matches, changing up the rules, time of day and other aspects between rounds. In the beta players get a small taste of these epic battles. The first part of the Grand Operation had players parachuting in while the other team tried to defend their AA guns from the aerial invasion. If the attacking team wins, then second part of the operation begins. In the next phase, the attacking players have to capture sectors from the defending players. It sounds like the full game will offer Grand Operations that are larger and will take even more time to complete, but even this small taste had me excited to play more when BFV comes out in November. After being in the beta for a few days, I’m happy to report that Battlefield V is shaping up to be a worthy successor to the franchise, and the tweaks and additions on display are already changing the way I play. Some of these changes might end up slowing matches down or frustrating solo players, but it’s hard to say based on this beta. 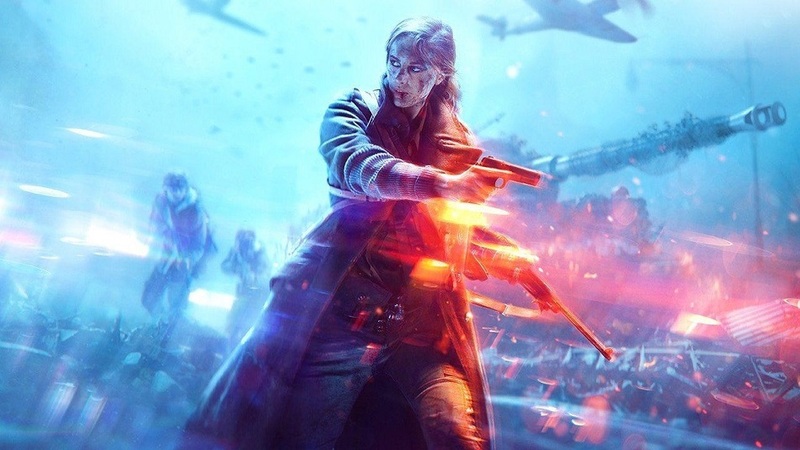 However, if everything comes together and Grand Operations are just that, BFV could end up being a wonderful evolution.